In 2008, Act One of what would be the great Tunisian revolt of late 2010, early 2011 broke out in the country’s Gafsa phosphate mining industry region. What had formerly been a work force of 18,000+ was cut to less than 6,000 in less than a decade. The cuts came not because the phosphate industry was suffering but, to the contrary, because it had done so well. It was a result of modernization with high tech machines replacing people. Old story. Profitability and production went up in the industry during these years (1990 – 2008) but jobs went out the window too. Nor was any of that new found wealth re-invested in any manner to compensate for lost employment. After all this was not a private but a state run industry! The center of the storm was a mining town, Redeyef. It was a rebellion of major proportions. Literally the entire community rose up in anger and frustration calling for fair hiring practices, jobs, infra-structural development – in short a life for a dying community. If Redeyef was going to die, at least its people were going to go down fighting, fighting for what Tunisian independence from France in 1956 had long promised but never delivered: democracy and development. There had been other rebellions in Tunisia’s rural areas over the years; in fact in the rural interior they were frequent but not of this magnitude. Until Redeyef, Ben Ali had been able to contain and cauterize rural uprisings before they reached Tunis, Sousse, the Sahel region (Madhia) and Sfax , heart of the country’s economy and its tourism industry. 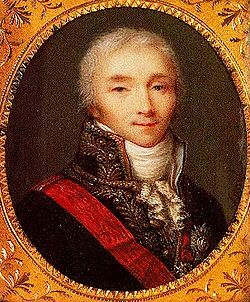 He almost succeeded with the Redeyef uprising too, except for one little detail, that being the internet. As a result of cell phone cameras, independent journalism transmitted on satellite, Facebook etc, I could sit in my basement office in Denver Colorado and follow the uprising almost day by day. – as first Ben Ali tried to ignore the turmoil and when he couldn’t, sent in his security troops. – as 20,000 people – the entire town of Redeyef – marched on the town jail to secure the release of the protest leaders and was proud that so many of them were teachers! – as Ben Ali as the repression deepened – 200+ arrests, some deaths as the security forces open fired, killing several unlucky ones who just happened to be on the scene. – as the reports of torture came in, accompanied by photos that would stand up in court most places in the world, excepting Tunisia of course. – as hundreds of locals, bitter at being crushed by a government they could not believe would turn on them like that, tried to flee the country by leaving for nearby Algeria. – as those desperate souls having given up on the idea of Tunisiaas they were met at the border by armed security forces, pummeled and forced to turn back. Ben Ali was afraid the international media coverage of such an event might negatively impact foreign investment and tourism. Of course, what else? Enter onto this disturbing scene one Roger Bismuth, advisor to since deposed President of Tunisia, Zine el Abidine Ben Ali, multi-millionaire developer, until recently the only Jewish parliamentarian in the Arab World and last but not least, President of Tunisia’s small Jewish Community of between 1500 – 1800 persons, most of whom live in the Tunis region and on the island of Djerba. Bismuth’s statements on the repression in Redeyef were, let’s just say, unbecoming. He did not deny there were `problems’ but `a la Mussolini’ emphasized Tunisia was a safe country where people could walk around at night without being robbed or otherwise harassed, ie, the repression is needed to keep social peace. 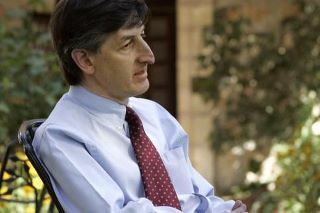 Bismuth commented that there was some possibility of private investment that might follow to rectify the situation. Nothing happened on that score though for the next few years until Mohammed Bouazizi, exactly one year ago today (I write on December 17, 2011) poured paint thinner over himself and after being thrown out of the Sidi Bouzid town hall, lit a match seen round the world. Bismuth’s comments gave me such a creepy feeling at the time. A Jewish spokesman for Ben Ali! A Jew on `the wrong side of history’. That can have unpleasant consequences. I wondered if this would impact Tunisia’s Jewish Community. The whole thing seemed weird; why would he put himself in such a position? I’m still wondering that. Here was a major socio-economic crisis that Ben Ali had no intention of addressing, but to smooth things over, he carts in as his spokesman, the president of Tunisia’s tiny Jewish Community? It seemed a cynical attempt use a Jewish face for damage control. Bismuth took the bait and did his best to soften the hard edge of Ben Ali’s repressive apparatus. Then Zine Ben Ali made his hasty exit from the scene, saying `sayonara’ to the Tunisian people, trying to get used to the fact that he can’t torture people at will anymore. He went off to his post – power retirement in Jedda, Saudi Arabia. With him came his darling wife and some of the members of the two family (Ben Ali, Trabelsi) clans; they were saddened to leave Tunis, a blow softened somewhat by the fact that they took 40% of the country’s wealth with them according to some estimates. The events of late 2010, early 2011 must have placed Citizen Bismuth in an awkward position, on `the wrong side’ of history. It would take considerable organizing talent, good political instincts and probably some sharp advisers for him not to sink on Ben Ali’s ship. Besides I’ve heard Jeddah, where the Ben Ali family relocated, is not the best place for a Tunisian Jew who not so long ago made his own personal pilgrimage – to pay homage to Israeli General Ariel Sharon, lying in a coma in Israel. As an advisor to Ben Ali, Bismuth was definitely `up there’, a part of Ben Ali’s ruling circle, even if his actual power was limited. It is difficult to get as far as Bismuth economically in Tunisia, especially during the Ben Ali years, `on your own’ so to speak. All the more reason why, most likely, Roger Bismuth was a little nervous in the period after Ben Ali was forced from Tunisia. He is quoted in at least one article (March, 2011) as saying that he isn’t taking his options of leaving Tunisia for Israel off of the table! That was in March, now we are approaching the end of the year. Although it could have cost him, Bismuth has personally come through the crisis of the past year quite well indeed. 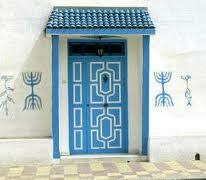 A modern Tunisian Jewish Fouche? He’s landed on his feet. All in all, so has Tunisia’s Jewish Community. All’s well that ends well? Roger Bismuth has come through these stormy waters unscathed. He has not been indicted for anything, nor has Bismuth picked up and moved to Israel. He’s still in Tunisia, a Tunisian citizen although he can no longer claim the title of being the only Jewish Member of Parliament in the Arab World, as he is out of office. Nor have his business interests been touched. Furthermore, Bismuth’s past association with Ben Ali does not appear to have hurt him much as he remains the President of Tunisia’s Jewish Community. I’m not exactly sure how he worked all that out, but if Tunisia functions anything like Colorado, he must have some pretty good attorneys advising and negotiating for him. Although Tunisia’s Jewish Community seems to have come through the events of this past year in tact and generally in good political and social health, this has been a year of uncertainty for them. 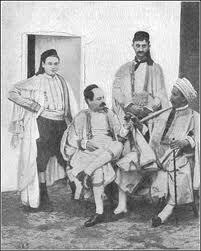 Recent events cap what has been a 130 yearTunisian Jewish roller coaster ride that started with Tunisia becoming a French protectorate in 1881. It continues today. 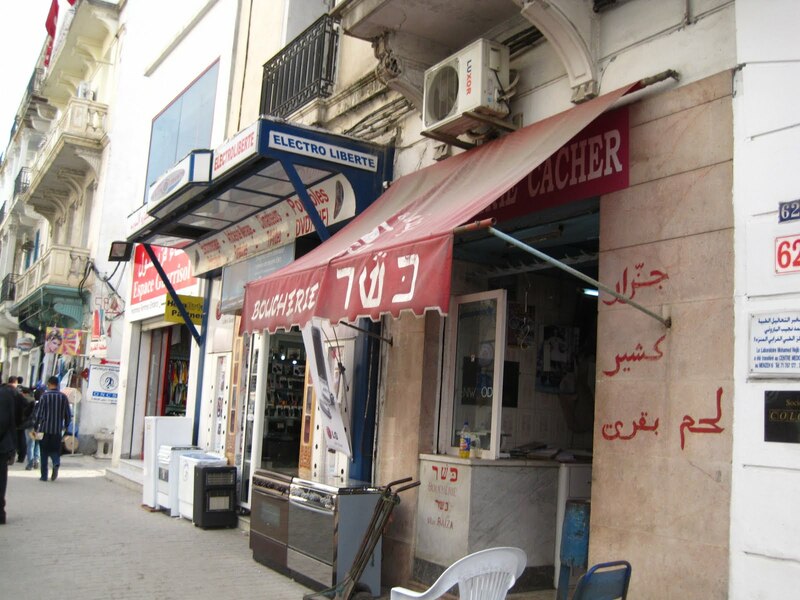 Since the collapse of the Ben Ali – Trabelsi regime, there have been anti-Jewish incidents in Tunisia as well as rumors, some of which proved to be unfounded. But a Salafist (radical Islamic fundamentalists) openly anti-Jewish demonstration not long after Ben Ali fled in early February, 2011 did take place in front of Tunis’ main synagogue on Ave. de la Liberte. Several hundred people were involved There were accusations some elements of Ben Ali’s former security force were involved, attempting to sow seeds of confusion and split the unity of the anti Ben Ali social forces. It was ugly, rounded condemned by virtually all elements of Tunisian society, including what is now the influential moderate Islamic Ennahdha Party. The Salafist synagogue demonstration did accomplish one thing: it frightened people some, especially Tunisian Jews. Israeli calls for Tunisia’s remaining Jews to leave the country and join the Zionist state fell flat and were publicly rejected by Tunisian Jews themselves. For Tunisia’s Salafists who give all appearances to be run by forces outside of Tunisia’s mainstream, demonstrating at Tunisia’s main synagogue was just a warm up round for their real target, strengthening their position in Tunisia’s mosques, its more secular schools and media. It’s symbolically reminiscent of the Crusaders yore, `reving up their medieval storm troopers’, by killing Jews in Germany on their way to kill Moslems in Jerusalem, a practice round so to speak. For the modern day Tunisian Salafists it’s a case of slandering a synagogue to prepare for a cultural offensive against the country’s educational system and media in an attempt, using the usual thug tactics, to bring the broader and more open society `in line’ with Wahhabist thought. Kick the Jews in the nuts first for old times sake and then move on to more strategic targets. Unable to get the Tunisian people roused about anti-Jewish sentiment – the synagogue protest did not win them support – the Salafists have moved on. They have explored other avenues break into the Tunisian mainstream, so far unsuccessfully, their social base in Tunisian society being quite thin. In the period both before and after the October 23, 2011 Tunisian national elections, Ennahdha leaders Rachid Ghannouchi and Hamadi Jabeli, the latter now the country’s prime minister, went out of their way to meet with Bismuth to reassure him of Ennahdha’s good will. The message was clear: that an Ennahdha victory would not negatively affect Tunisia’s Jewish Community status and that there is nothing to fear. This can be explained both by reasons of principle as well as politically. No need to engage in political fantasy. There is something amiss about a Tunisian Jewish Community that a century ago was at least 300,000 out of 10, 000,000 and is now reduced to 1,500 – or 1,800 at most in a population now of 10 million plus. It hasn’t been all peaches and cream for Tunisia’s Jews although many more of them migrated to France rather than going to Israel. But the details and parameters of that history, and it will be covered, we’ll put aside for another entry (coming soon by the way). Still, for all that, it is useful to remember that Tunisia is, as I have said repeatedly in this series, a tolerant place. Jews have been a part of Tunisian history since long before the time of Christ, long before there was a European Jewish Community even. Those traditions of tolerance and of the general integration of Jews in the fabric of Tunisian life run deep. Even as the Jewish Community here (I write from Tunisia) shrank, a lot of this good will remains. Older Tunisians remember when they socialized with Jewish neighbors, most vividly reinforced in the Tunisian film Summer in La Goulette by Tunisian film director Ferid Boughedir. 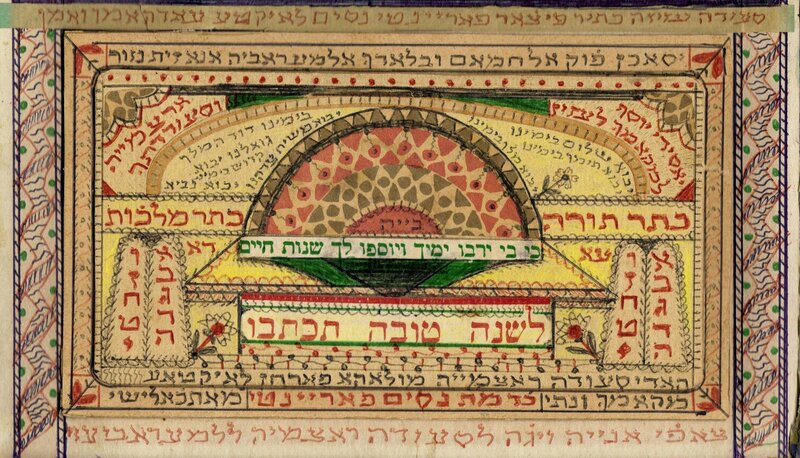 Tunisian Jews also keep their memories alive through websites (Harissa.com), blogs and some pretty fine scholarship on their own complex history. There are also political reasons why some genuine turn for the worse for Tunisia’s Jewish Community is not likely in the offing and that the Salafist outburst of a few months ago is not indicative of a deeper trend here. First of all, Tunisia’s Jews today are a tiny community. Its historic place in Tunisian society is great, but its economic resources and actual population are minimal. The idea that the community is `spying for Israel’ is utter nonsense. Those in power as well as many others here know it. Another factor that comes into play is Tunisia’s improving relations with the Obama Administration. These relations are still in a formative stage, but they seem to deepen daily. They have little to do with Tunisia’s Jews, but a lot to do with a U.S. attempt to find a new cultural wedge in the Arab World where its influence – despite U.S. military might – had declined dramatically as a result of the invasion of Iraq, the wars in Afghanistan, Pakistan, etc. as well as U.S. support for the Saudis and other medieval Middle East autocracies. The new Tunisian government will do everything it can to avoid such a crisis. This also extends to how Tunisia will deal with the Israeli – Palestinian issue. Tunisians, as I have written elsewhere, have overwhelming sympathy for the plight of the Palestinian people. How that is expressed politically is a different matter. When certain draft documents were circulating suggesting condemning Zionism as a part of the new Tunisian constitution, Rachid Ghannouchi immediately cut off the discussion and ended it curtly by killing the idea. Good relations with the Obama Administration apparently trumped official criticism of Israel. To make the point, Ghannouchi made his announcement of this policy in Washington D.C. on his recent. For its own strategic reasons, Tunisia wants to improve its ties with the United States, to lessen its dependency on its former colonial power. It cannot do that tolerating an anti-Jewish policy at home. Its sympathy for the Palestinians will continue to be expressed, but the Tunisians will be careful not to cross an invisible line. They know exactly how far they can and cannot go on this issue. Meanwhile – and it is of course a good thing – Tunisia’s Jewish Community can breath easy and I believe this will be the case for sometime into the future and I for one am very pleased. I want to end by noting, strange as it might seem for me that it’s here in Tunisia, that I feel as much at home with being Jewish as any place. But you’ll have to wait for Part Two of this series, for that to make sense…Coming soon, tune in. The Amilcar Notes 5…The U.S.-Tunisia Experiment: New Directions in U.S. Middle East Foreign Policy?